I often mention the line of food-scented candles that I would love to create one day. 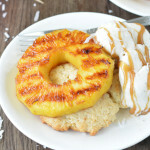 A few of the potential flavors are toasted coconut, hummingbird cake, and like anything with browned butter in it. 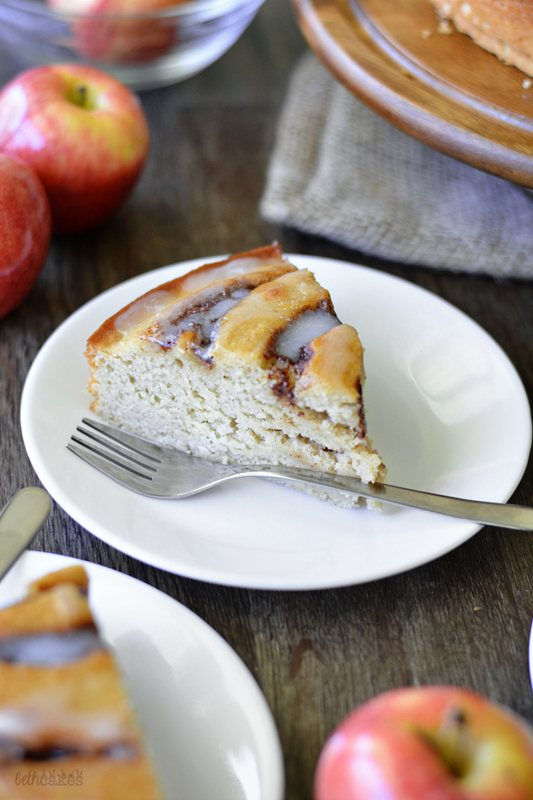 Apple + cinnamon roll will totally have to be a thing. I just really love the way the cinnamon filling sinks into the batter while this cake is baking. Remember awhile back when everyone was freaking out about cinnamon roll pancakes on Pinterest? It’s kinda like that. After the batter is whipped up and poured into a springform pan, I piped a nice big swirl of cinnamon + sugar filling on top using a squeeze bottle. There are four parts to this cake. The apple butter, cake batter, cinnamon filling, and glaze. They each come together pretty easily, but I think you could break it up into two days if you need to. Or purchase apple butter instead of making your own. There’s a recipe for a small batch of apple butter (it literally makes 1 cup) below, which you could make the day before and store covered in the refrigerator. 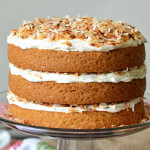 The cake is fairly simple, and the cinnamon-sugar filling is just butter, cinnamon, granulated sugar, and brown sugar. Then while the cake is cooling, you can whisk together the glaze. Add all ingredients to a medium saucepan over medium heat. Bring to a boil and slightly reduce heat. Let the mixture simmer, stirring occasionally, until apples are soft. Mash apples and continue to cook until mixture has thickened. It should be the consistency of really thick applesauce, and be able to coat the back of a wooden spoon or rubber spatula. (It's okay if it's lumpy!) Remove from heat and let cool. Stir together all ingredients and transfer to a squeeze bottle or piping bag. Set aside. Preheat oven to 350 degrees and spray a 9 or 10-inch springform pan with cooking spray. Whisk together flour baking powder, baking soda, salt, and cinnamon in a bowl and set aside. 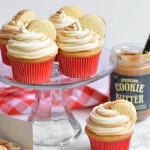 Beat butter on medium-high speed with an electric mixer until smooth and creamy. Add sugar and mix until fluffy. Add eggs and mix well. Then add flour mixture and milk; mix until combined. Add apple butter and mix until incorporated. Bake for 40-45 minutes, or until center has set and a toothpick inserted into the center of the cake (not the cinnamon part) comes out clean. Let the cake cool for 10-15 minutes. Whisk together all ingredients until smooth. Drizzle over cake and serve! 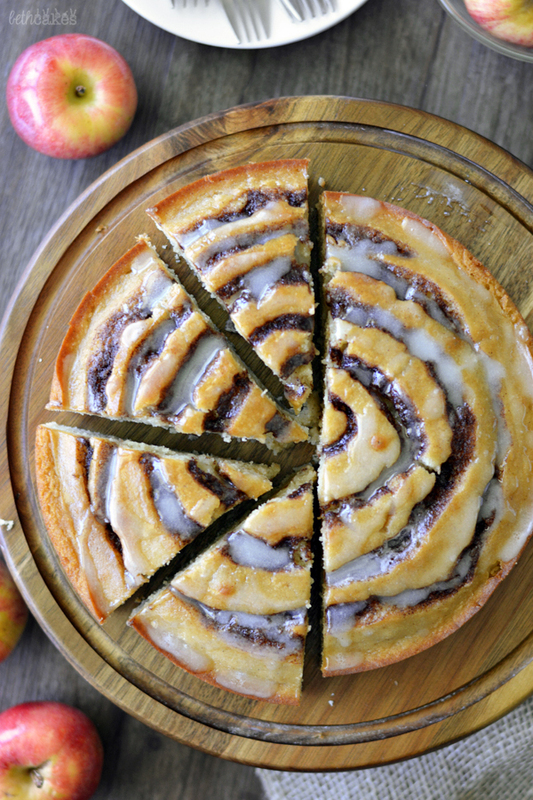 Well, I really don’t do apple butter…but Stephen is going to bug me about trying to make this cake if he sees it! It’s gorgeous! And this cake! Holy cow it looks delicious! So much fall goodness! 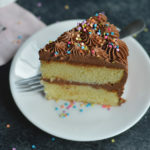 This is a big cake of deliciousness! This is sooo cool! I LOVE it Beth! 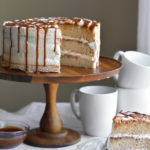 I wish this cake was sitting on my kitchen counter because I totally want to eat it with a piping hot cup of coffee. Great idea! I thought it was a cinnamon roll at first. This is so awesome! 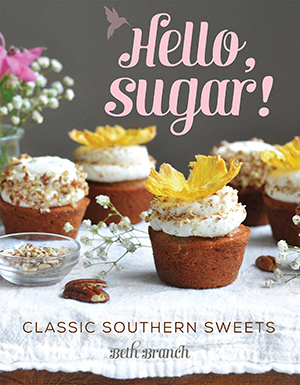 The writing, photography and recipe! 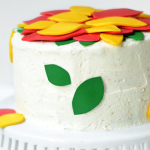 I really want to make this cake. ? Let me know when you finally create that candle line, because I would buy them all! 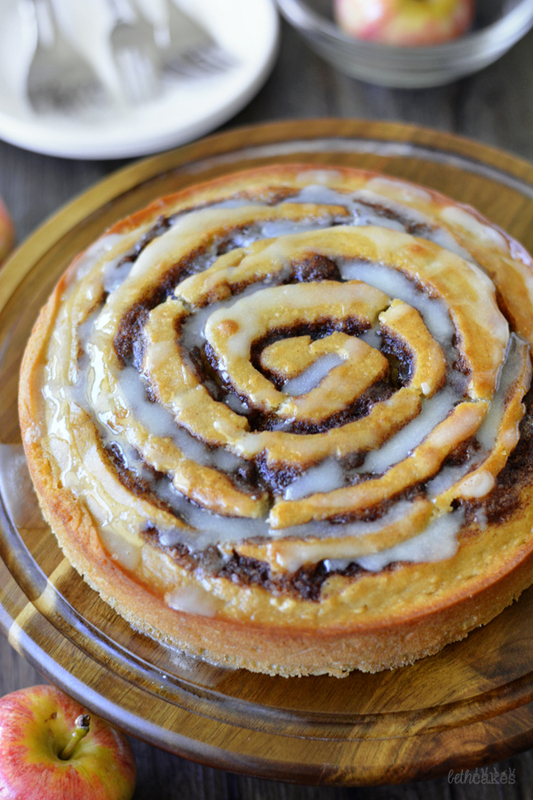 Cinnamon roll cakes are the best! Love the addition of apple butter! An apple / cinnamon roll-scented candle certainly sounds divine! 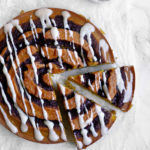 Great idea 🙂 This cake looks like a great idea too, love the cinnamon swirl on top! WHOA!!! That’s all I have to say. So I just tried making your Apple Butter Cinnamon Roll Cake and I think you have the oven temperature incorrect. Your recipe says to preheat to 250. I thought this was odd but went ahead and tried it. Um, it didn’t cook too well. Should the temperature be 350? Hi Diane, I am SO incredibly sorry. You are correct, it definitely should be 350. I’ve changed it now, and thanks for bringing that to my attention. I’m so sorry your cake did not turn out!! Pingback: Cinnamon Bun Fun | Two Dorks. One World. I made this last week for my Hubs and WOW was it ever great! It was perfect from the get go so it seems silly to say this, but I swear it got better sitting on my counter as the week wore on. It’s so moist and flavourful. If I had food scented candles, I would eat all the time :). These looks so yummy! Hi Beth, yummy recipe but my swirl didn’t stay nice looking at all. 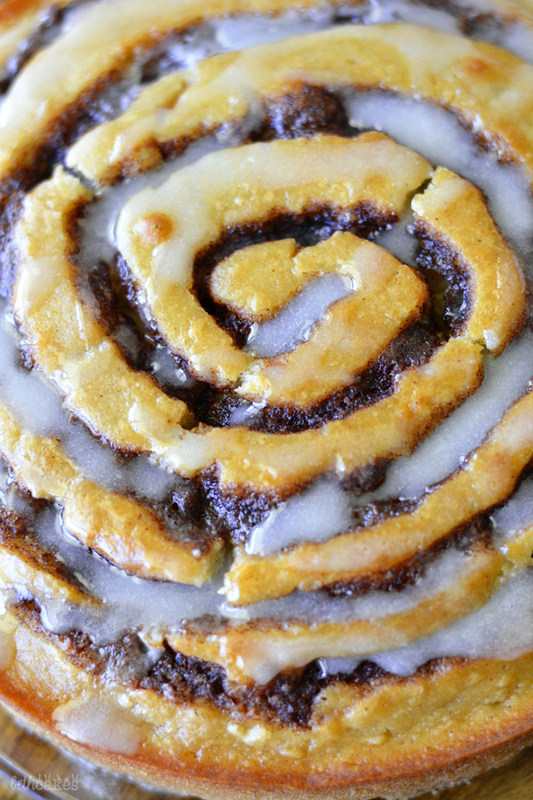 Do you have any tricks to make the swirl stay intact?